We may have lot to do while tending to enjoy the pure outdoor weathers! For all your outdoor fun-affairs the specially designed outdoor furniture is something what you need to get very first for sure! 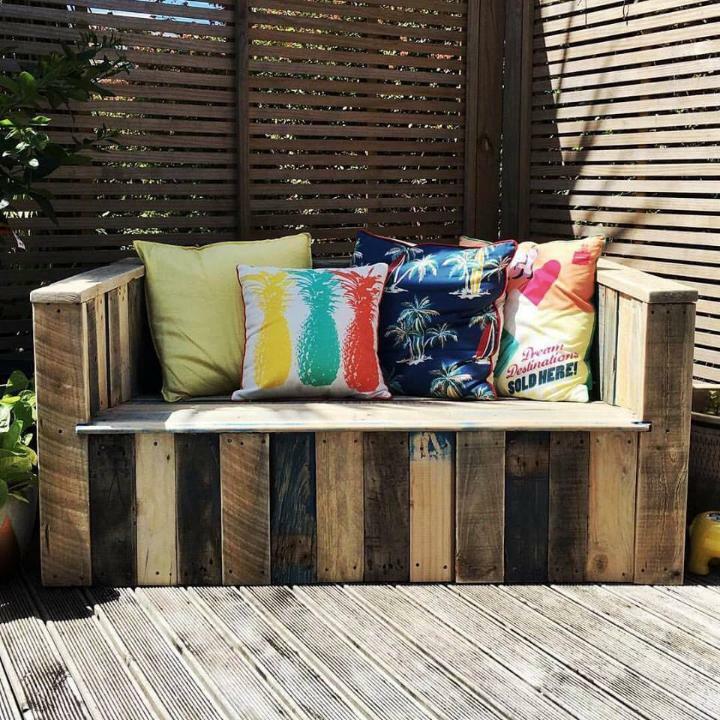 So you can get yourself busy a little in super handy pallet construction which can make you get with all you need to rock your outdoor! We would to like to share this outdoor pallet bar and patio furniture project with you, this project has been done to gain a set of precious Adirondack chairs for a rocking sitting experience tending to enjoy the greenery all around, a custom party set having a mini pallet bar table and two matching benches which would be all special to organize 4 friend beverage party and also a block style outdoor 2 seater which can be selected for better outdoor seating and daydreaming and also for book reading! 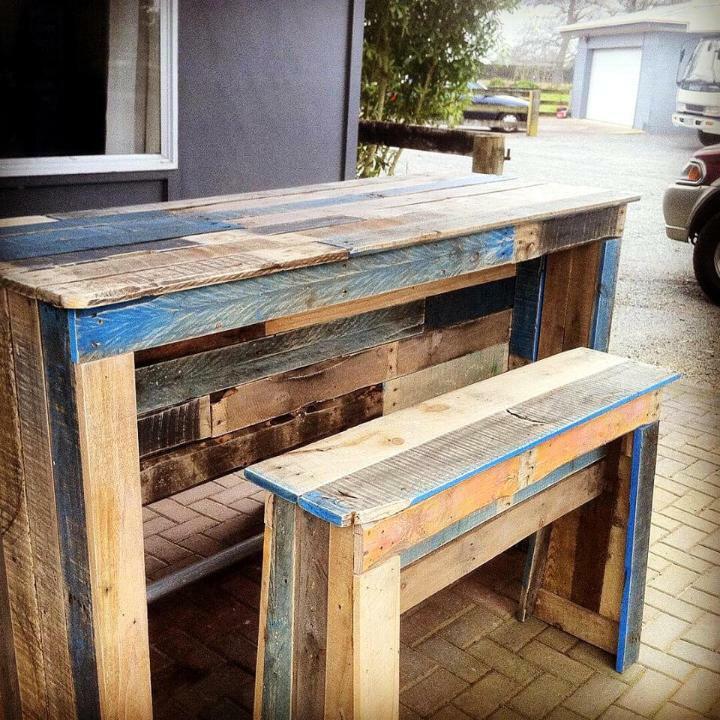 This custom pallet furniture can be cloned with a bunch of pallets in hands and hence you can organize all your outdoors better with pallets and without getting expensive! 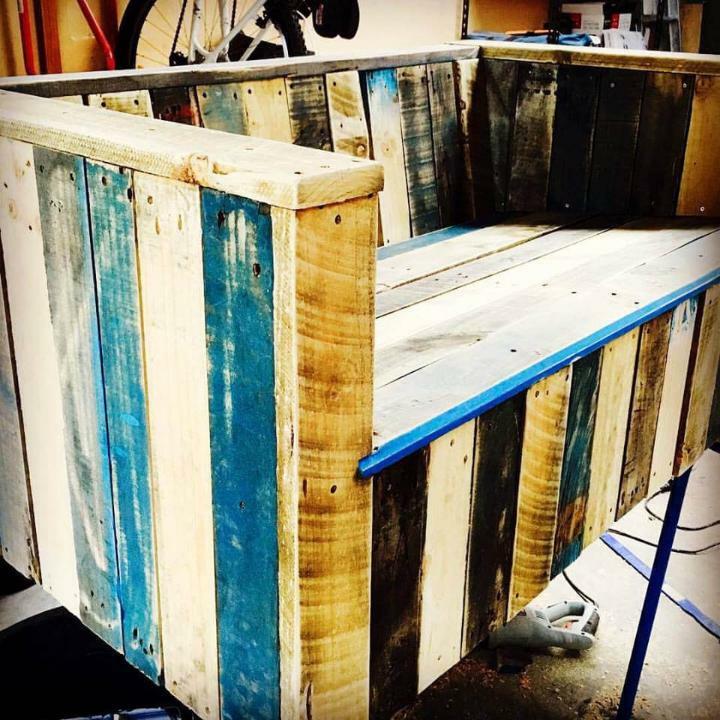 While being at outdoor, to relish the cold beverage, to sit with a couple of friends and also to organize the beverage parties are your first priorities and here are pallet-made respective furniture items would really make you over enjoyed while being at outdoor! 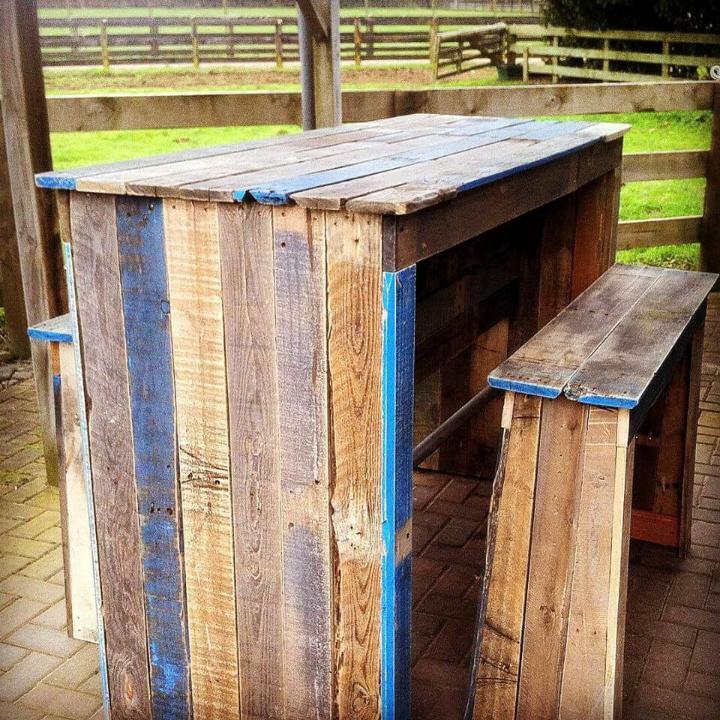 A little creative packing of pallet slats is giving here this fab wooden pallet bar and 2 matching bench set which would be all special for a group of 4 people to make gossips during the beverage party time there! 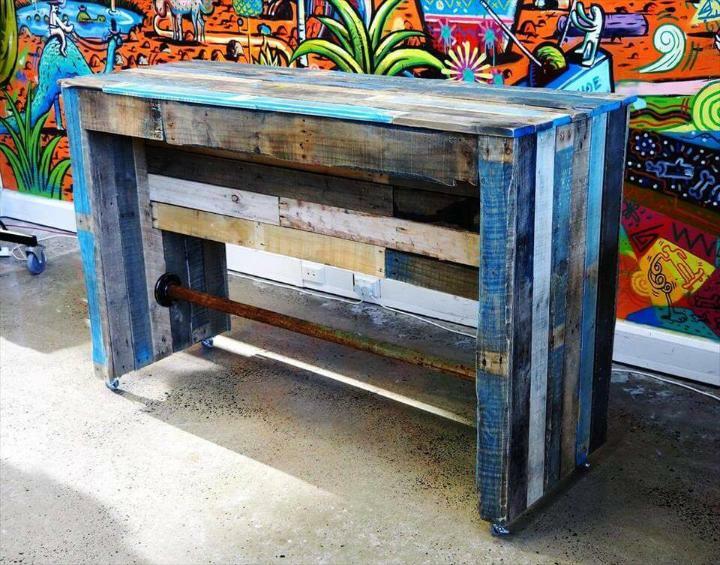 The wooden pallet bar has been raised on wheels and comes with straight metal rod fixed in the bottom that provides more strength to entire model and would also work great as a foot rest! This is here the lasting wooden bench, build in block style and is also what that will be all special and enjoyable for comfortable outdoor sitting experience! You can even gain this pallet bench in this natural blank tone of wood which just looks stunning in outdoor environments! Just throw some pillows over and make this bench an ideal comfortable outdoor seat for daydreaming! 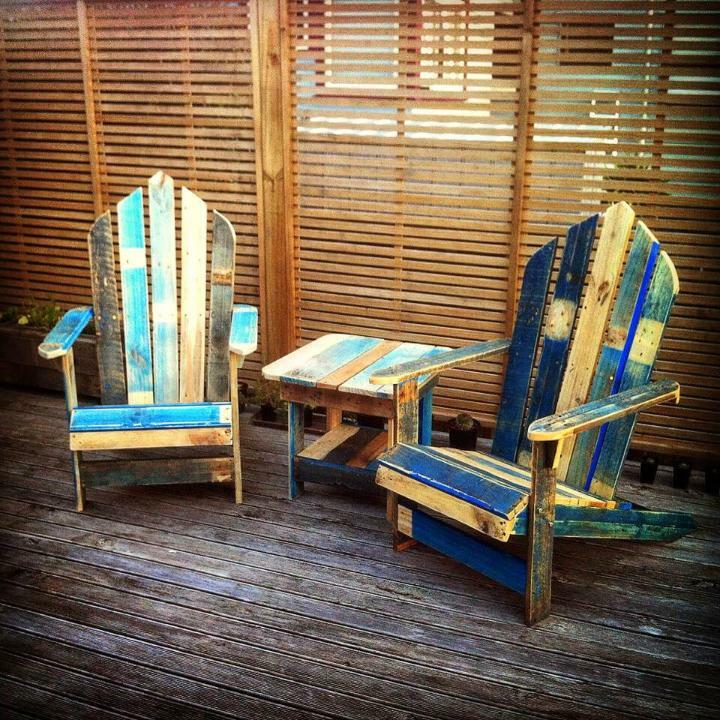 Here are perfect wooden pallet Adirondack chairs, can be selected to stare at those mountain peaks and would also be perfect for a lack view, specially designed to enjoy the nature and its scenes! 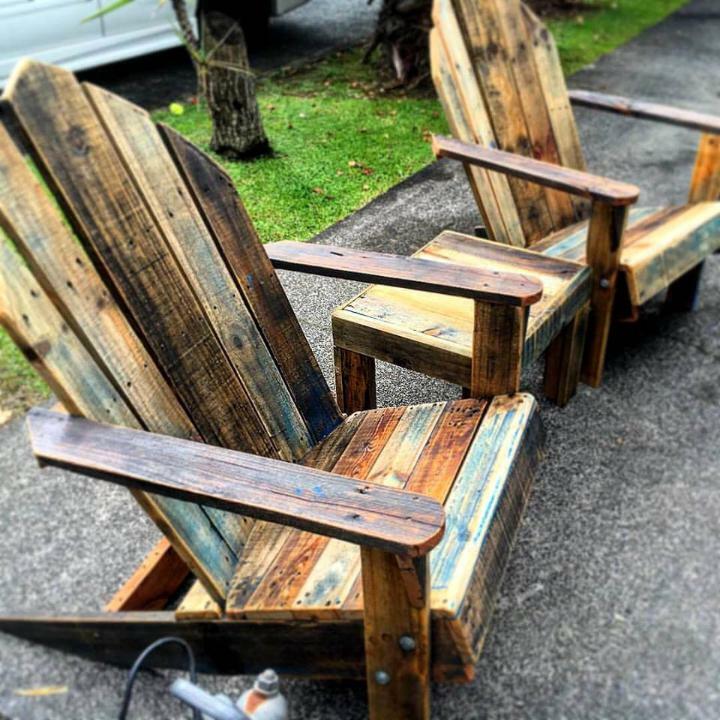 This perfect pallet Adirondack chair set has also been made distressed with paint and comes with a mini table also placed in the center! These pallet chairs can also be gained to sit around the fire-pits in winters and also around the poolside in extremely hot summer days!